A new oven makes a great and easy update to your home kitchen. You may be intimidated by the thought of replacing your wall oven yourself, but it is a fairly easy process. Be sure that you choose a model that you like and that fits the existing space. Turn off all the power that goes to the oven. If you have a gas oven, you will need to turn off the gas to the oven as well. Make sure that you do this correctly. [Remove the oven door](https://homesteady.com/video-7508261-remove-oven-door.html) by removing the screws with a screwdriver. Set the door aside. Remove the screws that are holding the oven in place. They should be at the corners of the oven. With someone's help lift the wall oven out and set it on the ground. Disconnect the wiring from the oven and the wall. Your new oven should have its own wires. The wire box should be somewhere behind the oven. If you have a gas oven gently disconnect the gas line from the oven. Remove the old oven from the kitchen. Remove the oven door from the new oven. Connect the wiring for the new oven. If you are using a gas oven, follow the manufacturer's directions to correctly connect the gas. Lift the new oven into the space with someone's help. Install the screws to hold the oven in place. Install the oven door. Repair or add trim to fill in any gaps around the oven. 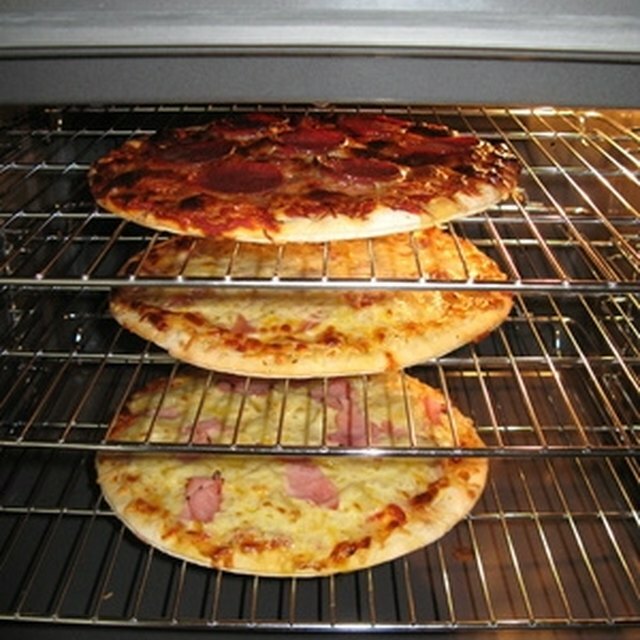 Measure your oven before you pick out a new one. Finding one with the correct dimensions will make installing a new oven much easier. Be sure to turn off the power and the gas before you do any work on the oven. This step can save your life. If you are unsure how to install the wiring correctly, it is worth it to pay the extra money to have store install the oven for you. This will help to protect your home and yourself.